Oregon Rancher Eaten by Hogs! COOS BAY, OR (KPTV) – An Oregon man trying to feed his 700-pound hogs was eaten by the animals Thursday, and sheriff’s deputies are trying to determine what led up to his death. Terry Garner, who lived near the rural town of Riverton in southern Oregon, went to feed the animals on his farm at 7:30 a.m. When he wasn’t seen for several hours, a family member went to look for him, and found Garner’s dentures on the ground in front of the hog enclosure, which housed several of the animals. While searching the hog enclosure, the family member found Garner’s body in several pieces, with a majority of it consumed by the hogs, the district attorney said. Now deputies are investigating how Garner ended up in a position where the hogs were able to eat him. District Attorney Paul Frasier said there are a number of possible scenarios, including one in which Garner suffered a heart attack. Another possible scenario is that given Garner’s age and health, the hogs were able to knock him down and kill him. Frasier said there have been reports that at least one of the hogs had been aggressive toward Garner in the past. 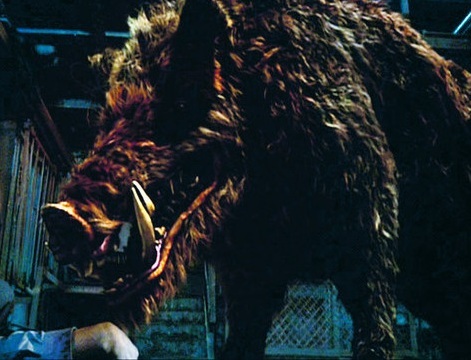 Police haven’t ruled out foul play but since one of the hogs attacked the man before we all know how this will end. Animals are dangerous. Even those cute pigs we all eat on burgers can kill a man. This entry was posted in Dangerous Game, Farms. Bookmark the permalink. One Response to Oregon Rancher Eaten by Hogs! Hogs are omnivores at 700 pounds if they get you down and taste blood they may think of you as food. If they are sows with pigs and feel your a treat to their pigs they will come for you as will most females that are good mothers. Again once they smell blood you become food. I can’t find a modern reference to hogs eating men, but there are many personal diaries from the Civil War. The few people I knew from that time had a grim truthfulness about them I never want to see again. Their eyes showed they lived through something that didn’t need any embellishment.